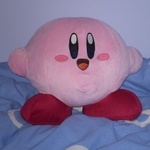 Well, I'm the Kirbinator, a veteran member of various Kirby forums. I'm a member of KRR, TKC, and Meta Naito. I'm also a member of BitF (back when Matthew "TriforceBun" Taranto was creating new comics) as well. It's great to see familiar faces here.